Ford’s latest On Target collision repair newsletter provides details about another recent aftermarket part quality check. The OEM publication elaborates on images collision repairers might have seen at the Ford booth during the 2017 SEMA. 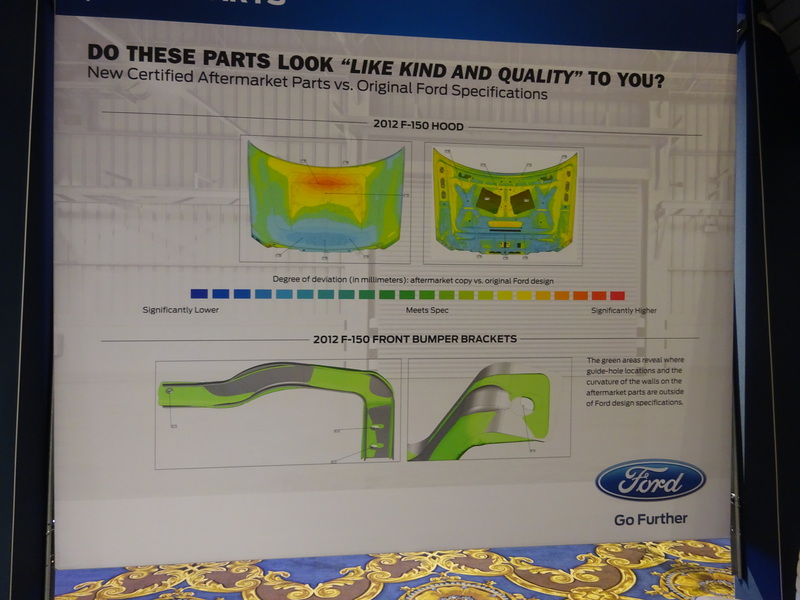 Ford at SEMA presented diagrams of a “Certified Aftermarket” 2012 Ford F-150 hood and certified aftermarket bumper brackets. The hood was revealed to be millimeters over and under the OEM’s specifications, while bracket testing revealed designs outside of what a Ford part would deliver. 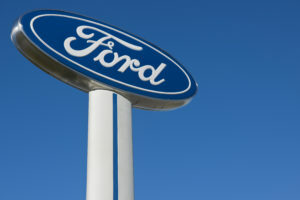 Ford explained in the “On Target” that it hired a lab to perform “laser scans” of the parts. Ford did not state which certifying entity had signed off upon the parts or how it obtained the parts. It’s not clear how many brackets were tested or if any passed the testing.